Are you going to revamp your home page for better conversion? Giving it a sharp and attractive design is not all that is essential, but you must also arm it with all the necessary functionalities that are known to convert. Because this is the only objective a website is designed – to convert your visitors into customers and get new business? Appearance, simplicity and consistency are the core factors that offer a great user experience to your visitors. It will surely encourage your visitors to buy from your site! Opt for a simple layout and color scheme defining your branding. Place logo clearly in the header, which should also incorporate a prominent title, explaining the purpose of your website. Right placement of message is necessary for your visitors to bond with your business. You must place a navigation bar close to the header, linking to all key pages on your site. This will not only make it simpler for your visitors to understand your website navigation, but will also attract search engine crawlers, thus make it more often appear in the search results. People are crazy about quality, free information that can help them make faster, more advance decisions. Share high quality blog posts, case studies, whitepapers etc. in your landing page. And this all for free! Your customers would be happy and you too as your site will gain a competitive edge over your keyword competitors. Images tend to be more interactive and directly relate with objective of the business than content. It is the simplest way to communicate to your users. If it can manifest what the visitor would get, it increases the possibility of conversion. A prospect is always on the lookout to understand if they can trust on you. It is a good idea to incorporate some trust indicators like trust budges. It could be credible partnership or client logos and awards you’ve received. Client testimonials also display the level of trust you enjoy amongst your clients. You can put simple and short testimonials on your homepage showcase your credentials. Place your most updated contact details and indicate right and clear calls to action wherever required. Better put two calls to action, one above the panel of home page – in header and another at the footer. But beware do not overdo it, as it could be annoying to the visitors and my drive them away. You may also consider some additional points like, make the benefits to the customer clear, avoid cluttered site design, ensure your site is compatible with all browsers and devices etc. 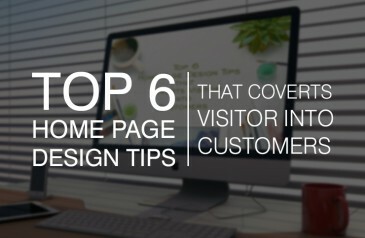 These are some of the most effective and wisely conceptualized website landing page that can not only drive your visitors but can also help you convert your visitor into customers for sure! Unverified reports hint at a huge Google punishment for using private site systems.